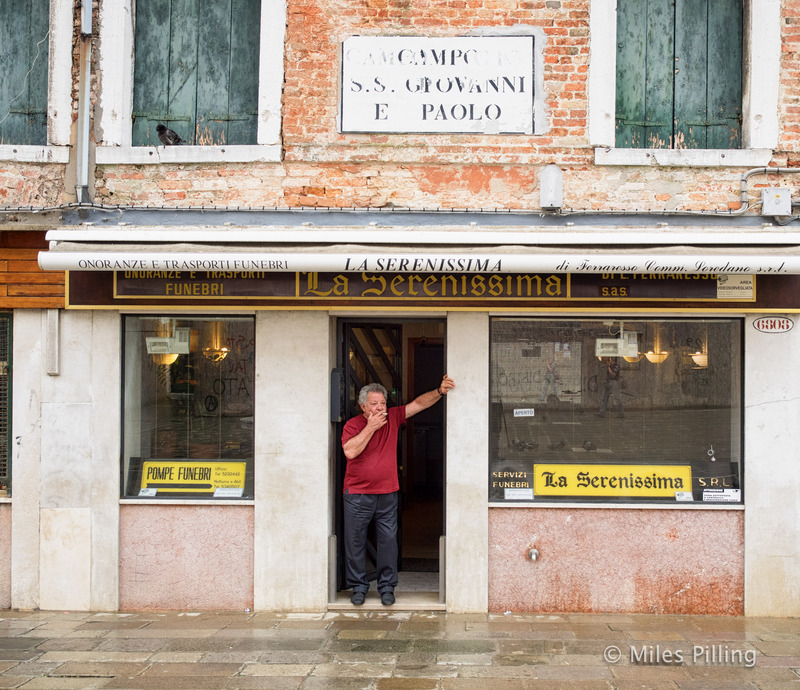 I’m not sure if this was a Venetian who needed a cigarette after saying a last goodbye or the funeral director on a quiet day. Either way the image seemed to have an ironic message as well as posing unanswered questions. Hope you like it.